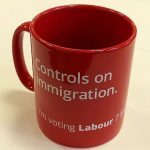 This week’s Conservative Party Conference saw Theresa May attempting the fascinating manoeuvre of claiming the ‘centre ground’ by combining far-right xenophobia with economics seemingly slightly to the left of Labour under Ed Miliband. The whole concept of the centre ground has always been questionable, and perhaps May’s surreal yet straight-faced take on it will help put the idea to rest. When Jeremy Corbyn was first standing for Labour leader last year, there was a lot of talk about how Labour can only win by claiming the centre ground, but very little analysis of what the phrase was actually supposed to mean. You might assume that it would be some kind of averaging of the political views of everyone in the country, but apparently advocating for nationalised railways and public services is ‘far left’ even though the majority of people in the country support it, so that can’t be it. It seems, instead, to be something more like a triangulation of the views acceptable to the big media outlets. Take the average of the ideas of the Daily Mail, the Guardian, the Times and the Sun, and you have the officially approved centre ground, more or less. While there’s no denying that chasing this worked rather well for Tony Blair, there are a few problems with this as a long-term strategy for a party of the left. One is of course that most media outlets are controlled by a small number of very rich people, all invested in making life easier for very rich people. Another problem, perhaps more fundamental but also related to the right-wing tendencies of the mass media, is that the Tories have historically had very little interest in chasing after the centre ground. The Tories, instead, constantly push their perspective, working to demonise groups that it is convenient for them to demonise and to normalise measures that would once have been seen as absurdly right-wing. In other words, their strategy is to pull the ‘centre ground’ towards them. When Labour fails to make strong counter-arguments, they are reduced to chasing the centre ground as it recedes ever towards the right, in the direction of removing support for those who need it and blaming less-privileged groups for the problems in society. Whatever else May’s Conservatives have done, they have spectacularly pulled the rug out from under the self-proclaimed ‘moderates‘ of Labour’s right wing. By cementing their long-term scapegoating of migrant populations with the kind of xenophobic rhetoric and policies that have historians shifting uneasily in their seats, they have shown up the folly of ‘taking people’s concerns about immigration seriously’ by promising controls on immigration and so on, rather than persistently, forcefully pointing out that most of those concerns are based on falsehoods pushed by right-wing media and politicians, and that the things people are blaming on migration are almost all the result of economic mismanagement. You can’t out-xenophobe Ukip, unless you’re prepared to become May and Rudd’s Conservatives. People who are convinced their problems are caused by immigrants will just vote for the parties they believe are genuinely opposed to immigrants, not a party that promises controls but looks like it’s pandering. It remains to be seen whether they can be convinced that problems like overstretched public services and depressed wages can be solved through social democratic policies by a government that actually wants to solve those problems, but Labour’s alternative strategy has been an unmitigated disaster, so it’s probably worth trying. The new economic direction that May and Hammond are taking the Conservatives in exposes the folly of Labour’s right wing from the other direction. Eds Miliband and Balls had five years in which to point out that the economic crash was caused (indirectly) by deregulation that the Tories were at least as keen on as Labour at the time, and absolutely nothing to do with Labour ‘over-spending’. They had five years to make the case that austerity was a political choice, pushing the damaging consequences of the financial crash on those least able to afford it while letting those responsible off the hook; to point out that it was having the opposite effect from what George Osborne was claiming it was supposed to, and that a wide array of mainstream economists agreed it was a terrible idea. Instead, they broadly agreed with the Tories about economic policy, promising just a bit less austerity if they were elected. Now even the Tories have at last disowned Osborne’s disastrous economic strategy, after six years of ballooning debt, falling wages, stagnant productivity and the slowest economic recovery for almost a hundred years. Remember, this is a strategy that Balls almost entirely went along with – although to be fair, some of the changes Hammond is making are in line with the tweaks Balls wanted to make. Other changes are more in line with John McDonnell’s approach. Osborne’s strategy was always going to come crashing down sooner or later – yet Corbyn’s competitors in last year’s leadership election were united in believing that Labour lost under Miliband and Balls by being too far to the left. Labour failed as an opposition in the last parliament, by missing almost every opportunity they had to oppose. They allowed the Tories and right-wing commentators to shape the debate about migration, about economics, about welfare and more. Some in the party still see hope for its future in chasing after a ‘centre ground’ framed by the right: they still think it is safer to pander to fears about immigration, rather than allaying them with facts and promises of much-needed investment; they still see neoliberalism as the only economic philosophy that stands a hope, even as its failures become ever more painfully apparent. However difficult the Labour Party’s position is right now, such an approach is simply untenable. Those in the party have a choice of uniting in opposition to every destructive, divisive thing the Tories stand for, or chasing a strategy of attempted moderation that hasn’t won them an election or an argument in more than a decade.